Can I just say this cover is soooo pretty and I’m loving it so far! Kate @ The Backwards Bookshelf has a new feature on her blog Bookish Throwback Thursdays! Where she shares some of her favourite books she read, before starting her blog. This one is all about the Six of Crows duology. Camilla @ Reader in the Attic reviews Stalking Jack the Ripper by Kerri Maniscalo! Tasha @ Ridiculously Ordinary reviews The Man Who Didn’t Call by Rosie Walsh! Sounds like a good book dealing with love, loss and has a plot that keeps you guessing. Amanda @ Chocolate Pages reviews Bridal Girl by Meredith Schorr! 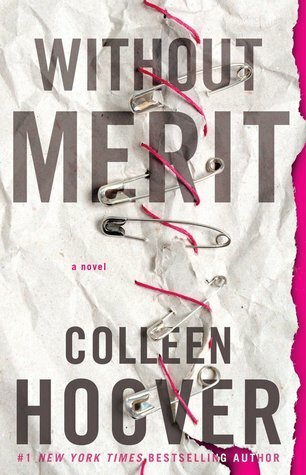 Not gonna lie it sounds like a great book, involving a writer, a wedding and deadlines. Resh Susan @ The Book Satchel shares how to read 20 books in one month plus her reading schedule! Nothing Found – I’ve not been about on BookTube maybe next week? Anyway with regards to the blog, you may or may not, have noticed there was no Writers Den or Bookworms Explained post. Quite simply the reasoning is, I was getting to stressed over them. I write a lot of content, my content out weighs the amount of book reviews I actually do at any one time. I also was stressing over my schedule because Writers Den and Bookworms Explained whilst both are fun to write, they’re also the two which take the longest to write purely because I want them to be good. Writers Den is harder for me, as I want it to be informative and useful and I just…I needed a break from those two for a month so I can remember how to breathe. As April I only missed two days, every other day I had at least one post go up. I do not at all, recommend you do that. I’m still experimenting, seeing what works for me and so this is all trial and error for a while. Hopefully in June, Writers Den and Bookworms Explained will make a return. Until then, you’ll have Monday Musings, a Book Tag on Tuesday, Thursday Talks and these Wrap Ups. Moving away from the blog, A Court of Frost and Starlight came out this past week! I also knew there’d be some sort of exclusive edition to Waterstones and there was and is. It’s a Waterstones Exclusive Fan Art edition. Its also in the paperback version not the hardback, from what I saw. So I bought ACOFAS and then Poet X as they had the sticker of buy one get one half price. I love bargains. The best part to this is…I saw that Victoria Aveyard is coming to my Waterstones in town on the 5th of June. As soon as I saw it I thought of Em, who happens to be my oldest best friend and we’re both blessed to be total bookworms. So whilst a lot of my bookworm friends are online, Em is the bookworm friend I have in real life. (she also has a book blog if you want to give her some love) Anyway we’re going to see Victoria Aveyard on the 5th June and I. Am. So. Excite! Whilst the UK has more privilege in terms of authors visiting than other countries outside of the US, it’s still pretty rare for them to visit outside of London. I’ve never been to London. I want to go someday, but until then, I’ll just wallow around where I live waiting for authors to come visit us. Needless to say Em and I are estatic about this, I also now need to catch up on the Red Queen series badly, I’ve only read book 1…and I need to catch up otherwise I’ll end up being spoiled and plus, I want to be able to make the most of it. Also at college we’ve been using Photoshop (I swear it hates me!) and the graphics tablets, one lesson I decided to switch over to Illustrator and have a go at some typography. So now, I have ‘Love Clo’ written in my handwriting, for the end of my blog posts. You’ll see it at the end of this post! I’ll need to add that to my to do list, of adding the sign off at the end of some of the older blog posts. (Thur) Thursday Talks #5: Role Models – good idea for children? (Mon) New Releases or Backlist Books: Shiny vs Dusty? Thank you for including my review in your post 😊 I’ll definitely be checking out all the others you’ve linked to! Thanks for including my review. This wrap up is a great chance to see posts I have missed. It will be amazing to see the Author with your bookish friend, I hope you can take some photos. Also, your sign off ‘Love Clo’ is very pretty. Thanks for all of the links. It sounds like you have been busy. I think the signature at the end of the post is adorable. Have a great week! no worries and thank you 🙂 Have a great week too! A good decision to have taken a break from writer’s den & bookworm explained, the last thing we would want is for you to be overstressed with thoses !! Maybe you’d get ideas for them along the way, which don’t forget to write it down ! You’ve got a nice handwritting, by the way ! no worries and yes I think it was a good choice for me to take a break! Love your new signature, Clo! And what exciting news about an author event near you!! I hope you and your friend have a great time 🙂 We all have to take stock of our posting schedule and commitments from time to time. With a little trial and error you’ll find what works best for you ♥ Hope you have a wonderful week! Ooh your New Release/ Backlist post looks interesting. The age-old struggle. 🙂 And yes sometimes our favorite posts or ones we care about a lot ARE the hardest to write! We put so much pressure on ourselves to get ’em right, I think breaks can be good just to relieve that pressure. Or whatever. 🙂 I’m sure they’ll come back great! And yay for Victoria Aveyard! I’m glad that college is going well. Enjoy seeing Victoria Aveyard! I live in the US, but well-known authors don’t come to this part of the country. I’d love to see someone really famous someday. Have a great week! Ooh a fanart edition of a book? That sounds really cool! That’s good you’re experimenting if the previous schedule was too much for you. You’ll figure out a schedule that works for you eventually 🙂 I haven’t met any authors, but yay I’m excited for you! Good luck with your assignments and have a great week! No worries! 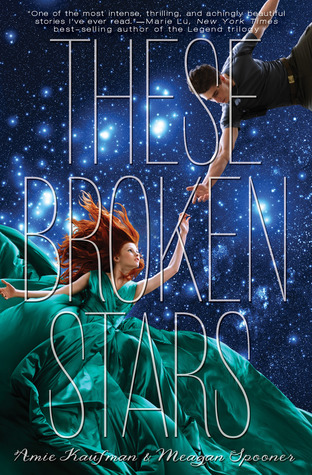 I just finished The Broken Stars actually, it was a great read. Have an amazing week too!